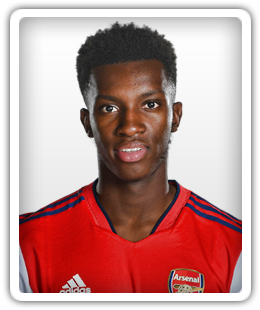 Arsenal Under-21s boss Freddie Ljungberg says that Eddie Nketiah remained at the North London outfit in January due to an intervention from Unai Emery. Arsenal manager Unai Emery plays down the significance of Mesut Ozil's absence from the matchday squad for his side's 1-0 defeat to West Ham United. Sports Mole provides team news, predicted lineups and a full preview of Saturday's FA Cup tie between Blackpool and Arsenal. Arsenal beat Azerbaijani champions Qarabag FK 1-0 at the Emirates Stadium to conclude their Europa League group campaign with their unbeaten record intact. Ahead of Thursday's Europa League tie between Arsenal and Qarabag FK at the Emirates Stadium, Sports Mole looks at how the hosts could line up. Arsenal manager Unai Emery reveals that Mesut Ozil's omission from his side's 2-1 win over Bournemouth was due to the Cherries' "physicality". Sports Mole provides predicted lineups, team news and a full match preview of the Europa League encounter between Qarabag FK and Arsenal. Arsenal record a solid 5-1 win over a second-string Paris Saint-Germain side in Saturday's International Champions Cup clash at the Singapore National Stadium. Atletico Madrid debutant Antonio Adan saves three penalties and scores the winning spot kick himself as his side beat Arsenal in a friendly in Singapore. Pierre-Emerick Aubameyang nets a first-half hat trick as Unai Emery's first game in charge of Arsenal ends in a 8-0 win over Boreham Wood. Quickfire goals from Dael Fry and Kieran Dowell earn England Under-21s a 2-1 win over their Mexico counterparts in the Toulon Tournament final. England Under-21s remain on course for a third straight Toulon Tournament triumph after coming from behind to beat Scotland Under-21s 3-1 in Wednesday's semi-final. Sports Mole looks at how Arsenal could line up when they make the trip to face Manchester United at Old Trafford on Sunday afternoon. Arsenal teenager Eddie Nketiah says that he is learning from Alexandre Lacazette and Pierre-Emerick Aubameyang as he targets more game time with the Gunners. Arsenal reportedly plan to find Premier League clubs willing to take Eddie Nketiah and Reiss Nelson on loan for the 2018-19 season. Arsenal move to the brink of progression through to the last 16 of the Europa League after a 3-0 win against Ostersunds FK on Thursday night. Danny Welbeck leads Arsenal's line in this evening's Europa League showdown with Ostersunds FK, as Arsene Wenger makes four changes to his side. Arsenal striker Chuba Akpom, used for a combined 23 minutes at senior level this season, is loaned out to Belgian Pro League side Sint-Truiden. Nottingham Forest hand Arsene Wenger his first ever defeat in the FA Cup third round as the Championship outfit record a 4-2 victory at the City Ground. Arsenal end the Europa League group stages with a comfortable 6-0 victory over BATE Borisov at the Emirates Stadium. Arsene Wenger makes 11 changes to Arsenal's starting XI from the 3-1 loss to Manchester United ahead of Thursday night's Europa League clash with BATE Borisov. Arsenal announce that Matt Macey, Ben Sheaf and Eddie Nketiah have all signed new contracts at the Emirates Stadium. Arsenal striker Danny Welbeck starts for the Gunners as Arsene Wenger's men look to secure top spot in Group H in the Europa League away to Koln. Sports Mole previews the Europa League clash at the RheinEnergieStadion between FC Koln and Arsenal. Arsenal boss Arsene Wenger leaves striker Eddie Nketiah on the bench for the Europa League clash with Red Star Belgrade. A report claims that Eddie Nketiah will be offered a new five-year deal worth £15,000 a week by Arsenal - a 650% hike on his current salary. Arsene Wenger names an unchanged lineup as Arsenal welcome Swansea City. Arsenal boss Arsene Wenger says that teenage striker Eddie Nketiah will continue to get chances in the first team after scoring two goals in the EFL Cup in midweek. Sports Mole previews Saturday afternoon's Premier League meeting between Arsenal and Swansea City at the Emirates Stadium. Eddie Nketiah says that he feels "very privileged" to hear Arsenal supporters chant his name after marking his home debut with a couple of goals against Norwich City. Norwich City manager Daniel Farke declares himself "very proud" of his side's display against Arsenal, having seen a couple of refereeing calls go against them. Arsene Wenger insists that he "cannot remember a young player having such an impact" after watching Eddie Nketiah score twice against Norwich City on his home debut. Arsenal recover to see off Championship side Norwich City 2-1 in round four of the EFL Cup, courtesy of a couple of goals from substitute Eddie Nketiah. Relive Sports Mole's live text coverage of Arsenal's 2-1 win over Norwich City, as Eddie Nketiah rescued his side a place in the EFL Cup last eight.